The Grizzly Bear images come mostly from Yellowstone National Park. Occasionally one will be posted from the Greater Yellowstone Ecosystem. Grizzly Bears are an iconic species of this country. They play a significant role in Native American life and spiritual beliefs, the Grizzly is my brother. Grizzlies are a "Keystone Indicator" of a healthy wild ecosystem. 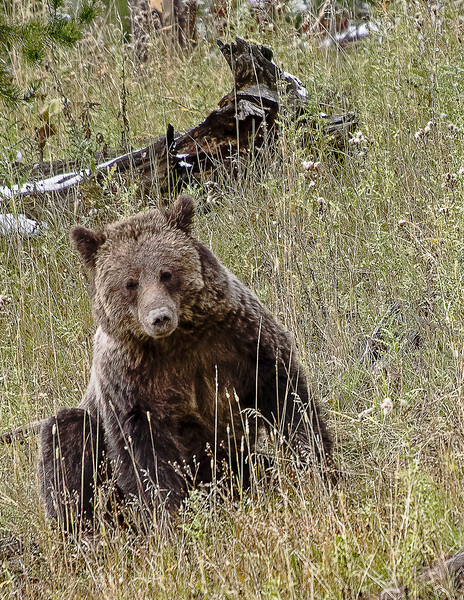 Currently, the Grizzly is listed as Endangered yet there are intense efforts of three states Montana, Wyoming and Idaho to get them declared recovered making the hunt-able. The population is barely self-sustaining now.